A little while ago I reviewed a very old Invergordon grain whisky from 1972, where I spoke about how grain whisky needs time, a lot more time than malt whisky, before it becomes much good. That’s because it is inherently a less flavoursome spirit than malt whisky due to the differences in production. 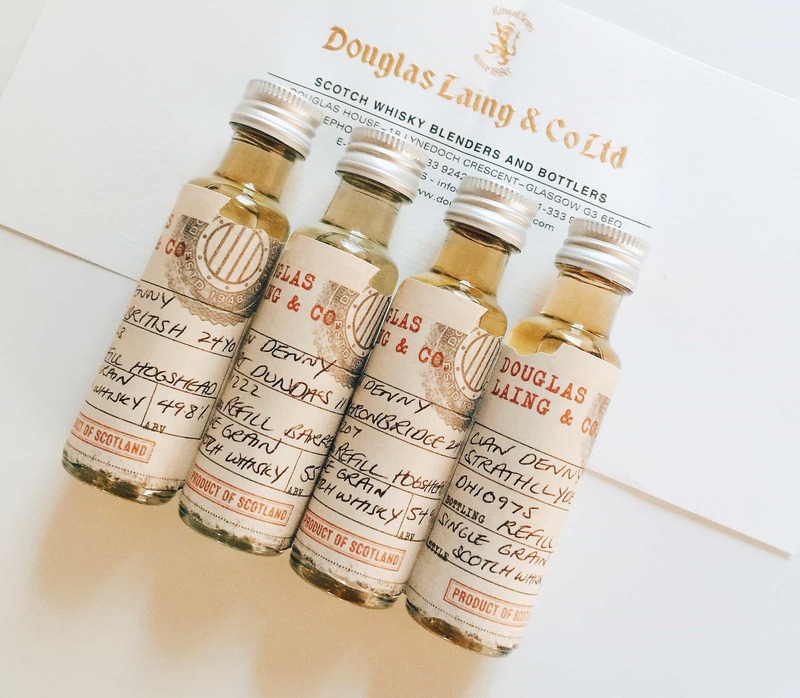 In that review I also mentioned the very good Clan Denny range of single grain whiskies from Douglas Laing. And the folk from Douglas Laing got in touch to ask if I’d like to try some of their current range. I suffer from a genetic flaw that makes me unable to turn down a drink, so I accepted. But you know the score around these parts – honesty is the best policy here. Read a little more about single grain production, and the importance of time, in my recent grain review, but otherwise let’s get on with the whiskies. Matured in a Refill barrel at 55% ABV. Cask #11222. At first I thought it might be this bottle from the Old Particular range, but it isn’t – this has a higher ABV for starters. Colour: white wine, exceptionally pale (almost gin clear). On the nose: fruity new make spirit. Quite prickly an not that approachable immediately, until it settles in the glass to reveal lime cordial with a touch of vanilla, and a little light hoppy ale. In the mouth: again, very much like a fruity new make spirit. A speck of citrus again, with a little floral honey and vanilla, but I’m afraid that this is a good example of how grain whisky needs more time. Worth an experiment, perhaps, and anyway it’s still better than Haig Club. But it is too under-developed. Matured in a refill hogshead and bottled at 54.9% ABV. Cask #11207. Costs about £60. On the nose: green tomatoes in a greenhouse, specks of vanilla. Elderflowers. Quite vegetative and grassy, but not hugely forthcoming. In the mouth: creamy vanilla custard, foam from a latte. Buttery too. It’s all about elegant tones, and the sweetness, the elderflower cordial mixed with vanilla, lime juice, light touch of fruit salad and milk chocolate. It’s very pleasant, but extremely delicate. I imagine this would be super to have between a really dense/fatty meal to cut through the flavours (I’ve often thought grain whisky is superb for accompanying food, more so than malt whisky). Matured in a refill hogshead and bottled at 49.8% ABV. Cask #11223. On the nose: much more intense flavours here, and this is more your classic single grain. Fabulously intense vanilla kick; meringues, or Victoria sponge. Toffee. Strawberry jam. A little bit of a solvent quality. Peaches. Fresh lemonade. Citrus peel. In the mouth: lemon drizzle cake. Vanilla (again – grain whisky!). Touch of sauvignon blanc, a hint of grapefruit to balance out the sweeter, light honeyed notes. Custard cremes. Lemonade again. Long peppery finish. Pleasant – and very much a classic grain. Matured in a refill barrel and bottled at 55% ABV. Cask #10975. Costs just under £90. On the nose: the most un-grain-like of them all so far, yet still with that vanilla undertone. (Are you bored of vanilla yet? This is pretty much what grain whisky in a bourbon cask is about.) More fruit to this though: soft fruit, peaches, green apples. Golden syrup. Sponge cake. Toffee. More complex than the others, though it naturally shares a lot with them. In the mouth: softer texture, more approachable, more complex. Less explicitly about the vanilla, and more a fruit cocktail: orange juice, lime cordial. Then salted caramel and milk chocolate, and perhaps a dusting of Muscovado sugar. A warm finish, but by far the best of the lot. It’s really very good and a good example of the Clan Denny range. I found this session of tasting single grain whiskies to be rather difficult, because they were all very similar in their initial impressions and general profile. Similar casks. Similar ages – with the exception of the very young 11 year old, which I don’t think I can recommend. But the others are all decent single grains – and so I think well over 20 years is the point where single grains become interesting, and have had enough time in the cask for this different type of whisky to be properly enjoyable. I think you could pick up any of the three mature grains here and have something interesting on your shelves. Not quite as intense an experience as I recall some of the slightly older Clan Dennys of yesteryear, which have been amazing, but then that’s more to do with grain whisky needing time. I think that’s the takeaway here, people. 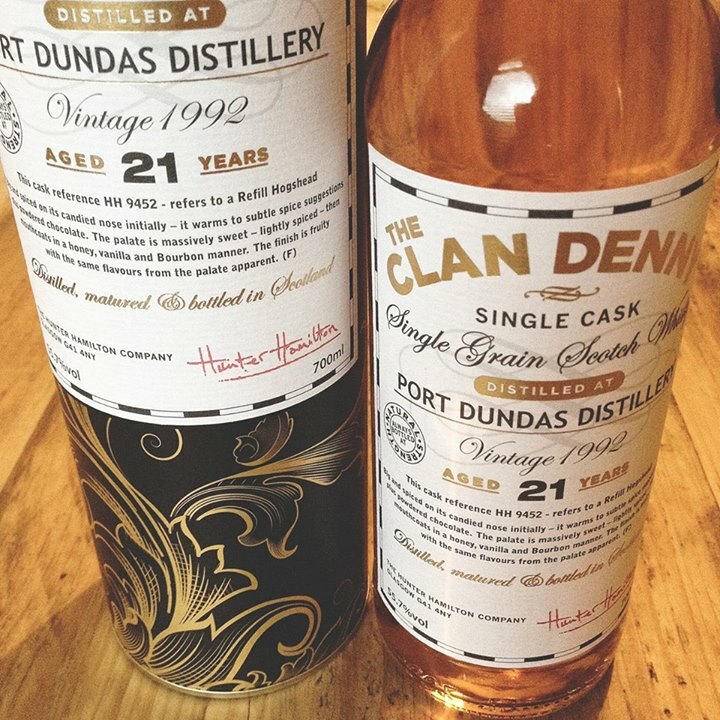 Don’t be too tempted to buy young grain whisky, from anywhere, but be very tempted towards older Clan Dennys. We’ve reached the final stop on our recent batch of mystery drams from Malt Review. This one was really enjoyable and during my tasting notes..
It’s always pleasing to see grain whiskies being bottled and enjoyed. At times its a secretive society of appreciation. Saying you enjoy a grain whisky..